A procession in the catacomb of Callistus. Catacomb refers to a network of underground burial galleries, the design of which originated in Ancient Rome. The word now refers to any network of caves, grottos, or subterranean place that is used for the burial of the dead, or it can refer to a specific underground burial place. The original catacombs are a network of underground burial galleries beneath San Sebastiano fuori le mura, in Rome. Many older cities also have such burial sites. While the catacombs provide a fascinating view of cultures and beliefs about the dead and the afterlife, archaeologists are careful to preserve them out of consideration for the remains of those laid to rest there. Many catacombs served a wider purpose than simply a burial place for the dead; Christian communities celebrated the Eucharist and family feasts at the time of funeral ceremonies, and some catacombs included shrines devoted to saints and martyrs. The Capuchin catacombs of Palermo include macabre mummified remains of monks as well as important people, which have become more of a tourist attraction than a religious shrine. Regular worship there was unlikely though, due to both the toxicity of the air in the subterranean areas, and the regard for dead bodies as unclean. Legendary tales that early Christians held secret meetings there are unlikely to be true since the Romans were well aware of the existence of the catacombs, although they may have hid there from barbarian invaders. The catacombs in Paris were surely used by French resistance during World War II. The word catacomb derives from the Greek κατα ("down") and τυμβος ("tomb"). Eventually, the word was incorporated into Latin as catacumbæ, which roughly translates as "among the tombs," and then into variations within the Romance Languages: Catacomba in Italian, catacumba in Spanish, and catacombe in French. It is most likely that from the French version it was transfered into English, although linguists cannot be certain. While there are many cultural variations on the structural design of catacombs, there are some basic generalities to all such sites. They are almost always built underground, usually below an either pre-existing or still inhabited large metropolitan area. Often they are carved out of bedrock, although sometimes materials are imported externally in the construction. Catacombs often consist of long, narrow passage ways with galleries, large inbuilt shelving units that hold exposed remains. At other times, the dead are entombed in vaults or chambers, sealed off from the main corridors. Usually such designs were left for people of great importance or the wealthy, while the lower classes were simply placed on top of each other in galleries. 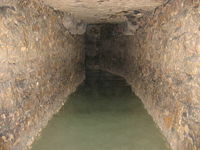 Certain catacombs are designed almost as aqueducts, so that water flows in channels under the floor. There is often no ventilation or lighting systems in the catacombs, creating a toxic and dangerous environment and the cause for many of the popular stories of catacombs being haunted and of supernatural significance. The first catacombs constructed in the world are the ancient Jewish and Christian underground burials in Rome, often referred to as the San Sebastiano fuori le mura. The first large-scale catacombs were constructed from the second century onwards. The Etruscans used to bury their dead in underground chambers and early Christians revived the practice because they did not want to cremate their dead due to their belief in bodily resurrection. Hence, they began to bury their dead, first in simple graves and sometimes in burial vaults of pro-Christian patricians. Originally they were carved through soft rock outside the boundaries of the city, because Roman law forbade burial places within city limits. At first they were used both for burial and the memorial services and celebrations of the anniversaries of Christian martyrs (following similar Roman customs). They probably were not used for regular worship. 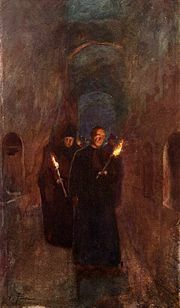 Many modern depictions of the catacombs show them as hiding places for Christian populations during times of persecution. This is unlikely, however, since the large numbers of decaying corpses would have made the air nearly (if not completely) toxic. Additionally, the general locations of the catacombs were known to the Roman officials, making them a poor choice for a secret hiding place. There are forty known subterranean burial chambers in Rome. They were built along Roman roads, like the Via Appia, the Via Ostiense, the Via Labicana, the Via Tiburtina, and the Via Nomentana. Names of the catacombs—like St Calixtus and St Sebastian alongside Via Appia—refer to martyrs that might be buried there. Christian excavators (fossors) built vast systems of galleries and passages on top of each other. They lie 7-19 meters (22-65 feet) below the surface in area of more than 2.4 km² (600 acres). Narrow steps that descend as many as four stories join the levels. Passages are about 2.5x1 meters (8x3 feet). Burial niches (loculi) were carved into walls. They are 40-60 cm (16-24 inches) high and 120-150 cm (47-59 inches) long. Bodies were placed in chambers in stone sarcophagi in their clothes and bound in linen. Then the chamber was sealed with a slab bearing the name, age and the day of death. Some families were able to construct cubicula which would house various loculi, and provide space for artistic decoration. Fresco decorations were typically Roman. In 380, Christianity became the state religion. At first many still desired to be buried in chambers alongside martyrs. However, the practice of catacomb burial declined slowly, and the dead were increasingly buried in church cemeteries. In the sixth century catacombs were used only for martyrs’ memorial services. Apparently Ostrogoths, Vandals, and Lombards that sacked Rome also violated the catacombs, possibly looking for valuables. By the tenth century catacombs were practically abandoned, and holy relics were transferred to above-ground basilicas. In the intervening centuries they remained forgotten until they were accidentally rediscovered in 1578, after which Antonio Bosio spent decades exploring and researching them for his volume, Roma Sotterranea (1632). 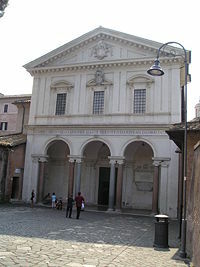 The catacombs have become an important monument of the early Christian church. Currently maintenance of the catacombs is in the hands of the Papacy which has invested the Salesians of Don Bosco the supervision of the Catacombs of St. Callixtus on the outskirts of Rome. Most widely known as "the Paris catacombs," the Roman-era limestone quarries that were converted into a mass tomb near the end of the eighteenth century is official known as les carrières de Paris or "the quarries of Paris." The use of the depleted quarries for the storage of bones was established in 1786, by the order of Monsieur Thiroux de Crosne, Lt. General of Police, and by Monsieur Guillaumot, Inspector General of Quarries. At the time, the Les Halles district in the middle of the city was suffering from disease, due to contamination caused by improper burials and mass graves in churchyard graveyards, especially the large Saints Innocents Cemetery. It was decided to discreetly remove the bones and place them in the abandoned quarries. Remains from the cemetery of Saint-Nicolas-des-Champs were among the first to be moved. Bodies of the dead from the riots in the Place de Greve, the Hotel de Brienne, and Rue Meslee were put in the catacombs on August 28 and 29, 1788. The tunnels have long been used by Parisians for more than just burial. Walls are covered in graffiti dating from the eighteenth century onwards, suggesting trespassers frequented the catacombs. In 1871, communards killed a group of monarchists in one chamber. During World War II, Parisian members of the French Resistance used the tunnel system. Also during this period, German soldiers established an underground bunker in the catacombs below Lycee Montaigne, a high school in the 6th arrondissement. The Capuchin catacombs of Palermo are burial catacombs in Palermo, Sicily, southern Italy. Today they provide a somewhat macabre tourist attraction as well as an extraordinary historical record. Palermo's Capuchin monastery outgrew its original cemetery in the sixteenth century and monks begun to excavate crypts below it. In 1599, they mummified one of their number, the recently-dead brother Silvestro of Gubbio, and placed him into the catacombs. Originally, the catacombs were intended only for the dead friars. However, in the following centuries it became a status symbol to be entombed into the capuchin catacombs. In their wills, local luminaries would ask to be preserved in certain clothes, or even to have their clothes changed at regular intervals. Priests wore their clerical vestments, others were clothed according to contemporary fashion. Relatives would visit to pray for the deceased and also to maintain the body in presentable condition. 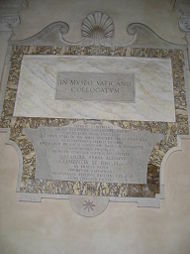 The catacombs were maintained through the donations of the relatives of the deceased. Each new body was placed in a temporary niche and later placed into a more permanent place. As long as the contributions continued, the body remained in its proper place but when the relatives did not send money any more, the body was put aside on a shelf until they continued to pay. The last friar interred into the catacombs was Brother Riccardo in 1871, but other famous people were still interred. The catacombs were officially closed for use in 1880, but tourists continued to visit them. However, the last burials are from the 1920s. One of the very last to be interred was Rosalia Lombardo, then two years old, whose body is still remarkably intact, preserved with a procedure now lost: The embalmer, Professor Alfredo Salafia took his method with him to his grave. The catacombs contain about 8000 mummies that line the walls. The halls are divided into categories: Men, Women, Virgins, Children, Priests, Monks, and Professionals. Some are set in poses: For example, two children are sitting together in a rocking chair. There are catacomb-like burial chambers throughout the world, ranging from such places as Anatolia, Turkey, Susa, North Africa, Naples, Italy; in Syracuse, Italy; Trier, and Germany. In Ukraine and Russia, catacomb (used in the local languages' plural katakomby) also refers to the network of abandoned caves and tunnels earlier used to mine stone, especially limestone. Such catacombs are situated in Crimea and the Black Sea coast of these two countries. The most famous are catacombs beneath Odessa and Ajimushkay, Crimea, Ukraine. In the early days of Christianity, believers conducted secret worship services in these burial caves for safety and reverence for the dead. Later, they served as bases for Soviet World War II guerrillas. Catacombs have long held the public imagination, and for good reason: Long abandoned, hidden underground, dark, complex, and full of dead bodies, catacombs naturally create a solemn, if not haunting, image in the mind. Authors and artists have realized this for a long time and have used catacombs for stories of macabre and terror. The most famous literary example may in fact be Edgar Allan Poe's short story of 1846, "The Cask of Amontillado," in which the main character Montressor walls up another man inside a cavity, deep within some catacombs, which are described as being like the catacombs of Paris. In movies, such films as the cult classic Les Gaspards (known in English as The Holes), and the 1989 film Indiana Jones and the Last Crusade featured such catacombs as settings. ↑ Julia Solis, [Paris' Urban Underground,] National Geographic (2007). Retrieved September 6, 2007. ↑ Kimberly King, [King's Capuchins' Catacombs OF Palmero Italy] (2007). Retrieved September 6, 2007. ↑ Nancy Kilpatrick and Hugues Leblanc, The Capuchin Cemetery and Catacombs of Palermo, Hidden Mysteries, The Weird, The Unexplained (2007). Retrieved September 6, 2007. "A tour of the dark world beneath the city of lights" by Murray Battle. History and information on unofficial visits. King's Capuchin Catacombs of Palermo. Rodolpho Lanciani, Pagan and Christian Rome 1892, Chapter VII: Christian Cemeteries. Underground Paris—A Paris Catacombs virtual tour with photos. This page was last modified on 17 January 2017, at 17:23.